The Blue Meanie Answers......The Count of 10 - WrestleCrap - The Very Worst of Pro Wrestling! Welcome to another edition of The Count of 10. Each week, Justin Henry picks the brain of a different wrestling personality, asking a blend of serious inquiries, along with generally irreverent questions. 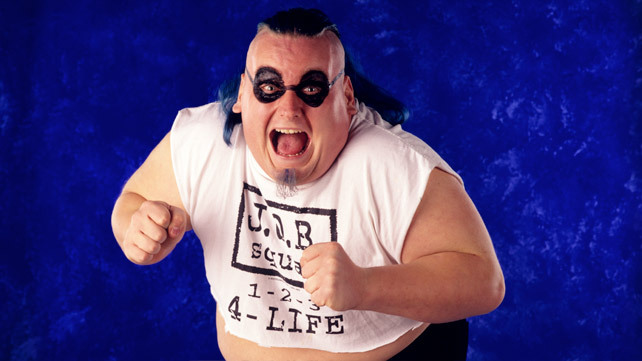 In this week’s edition, Count of 10 is joined by an ECW original, the boisterous and jovial Blue Meanie. Meanie’s two-decade career has taken him through Extreme Championship Wrestling in its glory years, as well as a stopover in WWE during the Attitude Era. But Meanie is most remembered for his jocular bromance with best friend Stevie Richards, with whom he formed the Blue World Order in 1996. These days, Meanie’s a regular on the indy scene, most notably with the phoenix of ECW’s ashes, Extreme Rising. Check Meanie out on Twitter, and also check out Extreme Rising for their upcoming spate of shows on WrestleMania weekend. 1. Having come up with a number of comedy spots for your matches, which one are you most proud of? Either the variation of the criss-cross spot, or my latest fave: the thumb-rasslin’ spot. 2. Does it bother Stevie Richards that you and Nova (as Simon Dean) have been in the Royal Rumble, and he hasn’t? I wouldn’t have a clue. It’s not something we’ve talked about. 3. In what direction was The Blonde Bytch Project (a 1999 parody that Meanie and Stevie filmed in WWE) supposed to go, before being hastily cancelled? We filmed as a parody to Blair Witch. The ending we shot was me discovering Stevie in the basement in Sable’s gear. And then it ends like Blair Witch, where the cameraman (me) gets knocked to the ground. Fade to black. What killed it was an article in USA Today that talked about spoofs of the Blair Witch Project and it mentioned ours. Vince saw that and didn’t “get it”, so he had it scrapped. 4. Being that you named yourself “The Blue Meanie”, just how big of a Beatles fan are you? I think they’re flawless. I love them as a band. I just never got to appreciate much until later in life. 5. As a fellow Philadelphia sports fan, I have to ask: who do you think has the best chance of winning a championship: the Phillies with Ruben Amaro, or the Eagles with Howie Roseman? If the team stays healthy, I have a feeling the Phillies can have another solid run. I don’t expect the Chip Kelly regime to be gang busters right off the bat, but it should be interesting. 6. 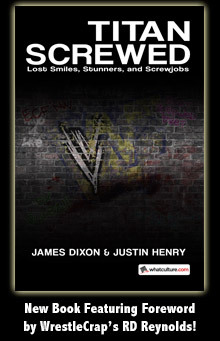 ECW has spawned many challengers to the throne, in the form of start-up promotions grabbing at their mantle of wrestling’s rawest, most gritty company. What makes Extreme Rising stand out from the rest? What makes Extreme Rising unique is it’s a blend of ECW originals, as well as guys you could have easily seen working for the original company, if it were still around today. It’s not trying to be ECW but it certainly gives you a flavor of what it was like to take in an ECW live event. I love the comraderie in the locker room. The reaction of the crowd, and the feedback you get back after the show, in person and online. The feeling afterwards that you want to do it all over again. It all makes it feel worth it. 7. While a lot of boys in the business have soured on Paul Heyman for various reasons, did running your own promotion (3PW) give you a new respect for his skills as a promoter? Yea. Because running shows could be a great experience. It’s the s–t that’s out of your control that makes it hard. You have so many personalities to manage along with hoping that no one sabotages your shows in any of the MANY ways one could do it. 8. What’s the most unbelievable thing you saw backstage during your WWE run? The unfortunate passing of Owen Hart, and everything that happened once we knew he had fallen from the ceiling, praying as he was taken to the ambulance, and rushed to the hospital. 9. What is your fondest memory of working for the original ECW? Having Mick Foley ask Stevie and I to be in his farewell deal, that meant the world to me as a fan of his, a fan of wrestling, and just being a guy breaking into the business. It was one of several dreams come true for me. 10. When I saw you perform live back in October, you hadn’t changed a bit. Same bWo theme, same unmistakable appearance, and same effective working-of-the-crowd with offbeat antics. How much life is there left in being The Blue Meanie? I look to keep entertaining as long as the fans and my body allow me to do so. I’ve been doing this for 18 going on 19 years and have been fortunate to have been allowed to entertain a vast array of people. I’m grateful that a company like Extreme Rising cares as much as I do and that they give me a place to perform what I love to do. So come out and say hello to Da’ Blue Guy! Wontcha? 4 Responses to "The Blue Meanie Answers……The Count of 10"
Great to hear from Meanie, and have him confirm what we long suspected about The Blonde Bytch Project. Classic Induction: The Ken Patera Story: Can You Blame Him? Dude Was Hungry!